World’s first dancing symphony orchestra CONCORD ORCHESTRA will perform rock hits. The show named “Symphonic ROCKETS” with programme “Wings of a griffin” promise an unforgetabble evening to Astana residents and guests. The artistic director and chief conductor of Fabio Pirola(Italy). Griffin – a mythical creature with the wings of an eagle and the body of a lion. In the new show, the musicians of CONCORD ORCHESTRA in griffin costumes symbolize power over heaven and earth. Possessing speed and power, they move around the scene. The combination of the two main elements creates stunning emotions on stage. Musicians do not sit on the chairs – they dance with their instruments and create a drive on the stage. To realize the whole idea, the symphony orchestra performs all the compositions for memory and without stands on the stage. Unique video installations and lighting effects – create an atmosphere and make the show enchanting. Costumes for the participants of the show in the image of griffins – created by a group of designers from St. Petersburg and are part of the brand CONCORD ORCHESTRA. 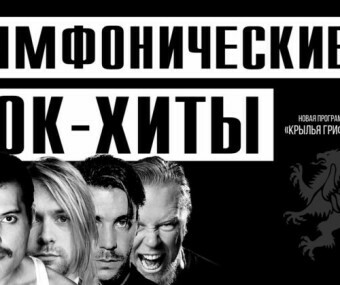 The orchestra will perform the legendary compositions of Linkin Park, Queen, Scorpions, Metallica, System of A down, Evanescence, Dire Straits, Depeche Mode, Deep Purple, Guns N ‘Roses, Nirvana, Roxette, Alphaville, Aerosmith, Nightwish, Muse, Rammstein.